It’s hard to believe that today is already the last day of the 2016 Salt Lake Institute of Genealogy. Five full days — 20 solid sessions — of in-depth genealogical learning, sharing, and even fun with many many like-minded people. The Legal Genealogist has had an absolute ball this week. Not only have I had a wonderful class of students for Corpus Juris: Advanced Legal Concepts for Genealogy, but I’ve been privileged to be part of other courses as well: Researching New York: Resources and Strategies; Advanced Research Tools: Land Records; Advanced DNA Analysis Techniques For Genealogical Research; and Advanced Genealogical Methods. Being able to teach alongside folks like Thomas W. Jones, Angie Bush, Karen Mauer Jones, Rick and Pam Sayre… it’s been amazing. So… have you been sitting there all week, watching the posts and the photos and slowly, steadily, turning green? On Tuesday. January 19th. 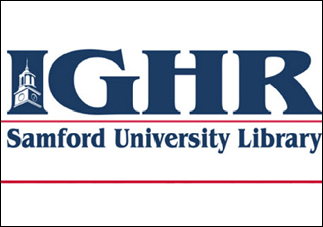 For the 2016 Institute of Genealogy and Historical Research at Samford University in Birmingham, Alabama, to be held June 12-17. It’s yet another week-long opportunity for in-depth genealogical learning, sharing, and even fun with many many like-minded people. This year’s IGHR will be a little bittersweet. It offers the same terrific line-up of courses and instructors as it’s had in the past… but this will be the last IGHR at Samford itself. Next year, in 2017, the Institute moves to the University of Georgia at Athens. So there’s bound to be a lot of competition for every seat in every class at this last-ever Samford-based IGHR. That means acting fast will be critical if you want to attend. All IGHR class sizes are limited and REGISTRATION FILLS UP FAST. If you want to go, be prepared to start trying to register right when registration for the class you want opens and to keep trying. Note that Advanced Methodology and Evidence Analysis has prerequisites and all students will be housed off-campus this year. Registration information can be found here, the overall IGHR website is here and information on individual courses can be found here. As usual, registration is staggered, so pay attention to the opening time for the course you want and be prepared to act fast. And I thought maybe I’d find out why “registrars” of deeds and other records are often called “registers.” It never sounds quite right.